Just like stars that light up the night sky with their sheer beauty, lustrous lab grown diamonds cluster together and give this ring its captivating allure. These eco-friendly gems are pave set within a perfectly sculpted heart-shaped frame. The beaded detailing seen on the shank adds a new dimension to this ring's visual appeal, while the gleam of the 14k white gold metal perfectly complements this charming design. 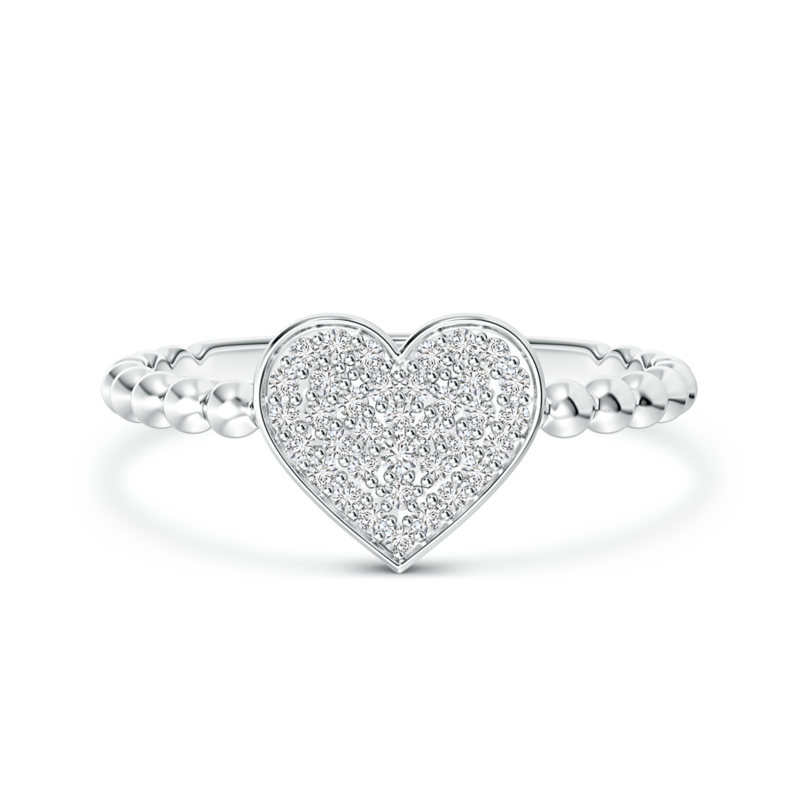 A flawlessly crafted piece of jewelry, this diamond heart cluster ring is worthy of a lifetime of admiration. Fashion jewelry refers to beautiful pieces that are created to make a statement. This particular jewelry style is inspired by the season's hottest trends, which are usually dictated by celebrities and fashion icons. More often than not, they feature awe-inspiring and unique designs. Designed to turn heads, fashion jewelry is just what youll need to turn your look up a notch. This product by Pure Ignis is a great way of expressing your personal sense of style.